The Brexit department spent £45,637 printing copies of Theresa May’s EU withdrawal agreement, which ministers are now seeking to renegotiate. In all, 1,300 copies of the almost 600-page document were ordered, with 1,100 sent for distribution to MPs and peers. Many of theses copies of the document, which was also published online, remain uncollected in a Parliamentary office. The figures were obtained by the BBC through a freedom of information request. MPs resoundingly rejected the withdrawal agreement by a majority of 230 in January – the largest defeat on record by any government in the House of Commons. Since the vote the government has indicated that it will seek changes to the text of the withdrawal agreement to address rebel MPs’ concerns about the Northern Ireland backstop. In response to a question in the Commons last week, Theresa May told MPs that the assurances she is seeking from the EU on the backstop would not be “a further exchange of letters but a significant and legally binding change to the withdrawal agreement”. 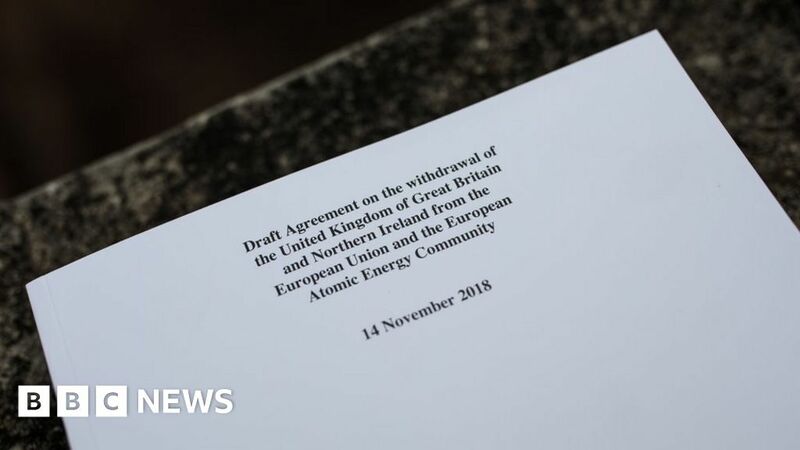 Any such changes would require the document to be republished, although the European Union has categorically refused to reopen negotiations on the text of the agreement. A large number of the copies are still sitting in the Parliamentary Vote Office, which distributes physical copies of legislation to parliamentarians. Mark Francois, vice-chairman of the European Research Group of Brexiteer MPs, said that given the importance of the agreement, he would “like to think that every MP who has voted on it [the withdrawal agreement] has taken the time to read it first”. A spokesperson for the Department for Exiting the European Union said: “The decision to print a number of hard copies of the withdrawal agreement was made in consultation with the parliamentary authorities as they are best placed to advise on the likely requirements of both Houses. “This was particularly true in this instance given the significance of the withdrawal agreement and the need for parliamentarians to properly scrutinise it.